Zili Yang, an economics professor at Binghamton University, is seen in his office in the Library Tower. Image Credit: Jonathan Cohen. Zili Yang, an economics professor at Binghamton University, is seen in his office in the Library Tower. Photography: Jonathan Cohen. Binghamton University economist Zili Yang was quick to reach out to William Nordhaus after learning that the Yale professor had won the 2018 Nobel Memorial Prize in Economic Sciences. 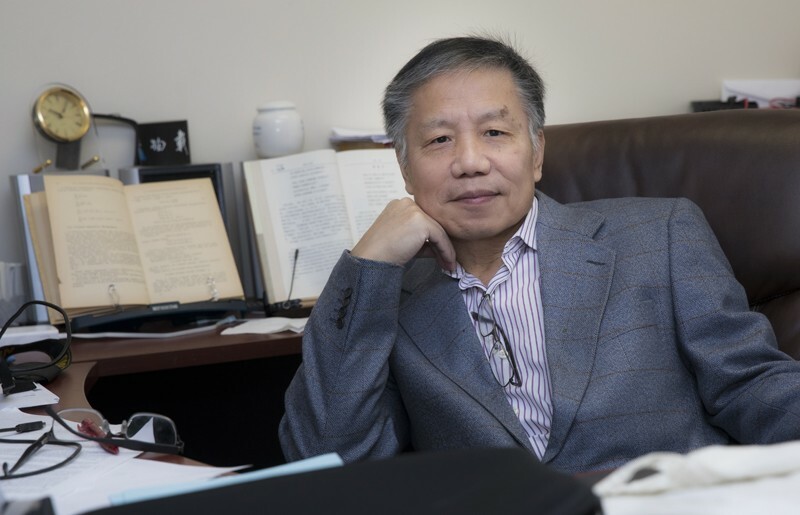 Yang started his doctoral work at Yale in 1987 after receiving his master’s degree in management science from Tianjin University in China in 1985. Nordhaus, a Yale faculty member since 1967, had examined economic approaches to global warming for more than a decade when Yang joined his research team. But Yang admitted that he had no idea then that the work would prove so long-lasting. By 1992, Nordhaus developed the Dynamic Integrated Climate-Economy (DICE) model, a computer-based integrated assessment model that describes the global interplay between the climate, energy usage and the economy. Yang received his doctorate in 1993 and became a collaborator with Nordhaus. In 1996, the pair produced a paper that expanded DICE into the Regional Integrated model of Climate and the Economy (RICE). While DICE served as a single global model, RICE divided the world into 12 regions. The models have been used for the past 30 years by researchers all over the world. After Yale, Yang served as a research associate at Massachusetts Institute of Technology and as an assistant professor in the Department of Energy, Environmental and Mineral Economics at Penn State University. He joined the Binghamton University faculty in fall 2002 and saw the release of his book, Strategic Bargaining and Cooperation in Greenhouse Gas Mitigations: An Integrated Assessment Modeling Approach, in 2008 by MIT Press. He is now working on a second book with Cambridge University Press. Yang is also still collaborating with his mentor. He and Nordhaus have started a three-year project to update and upgrade DICE/RICE “to make it stand for the next decade,” Yang said. The pair primarily works via email, although they see each occasionally. Yang is impressed that Nordhaus – now the Sterling Professor of Economics at Yale – is still a force in the economics field at age 77. Yang, whose name is mentioned in the Nobel report detailing the work of Nordhaus, said he is pleased to have played a role in the research.